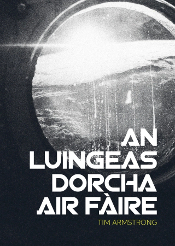 ACDD air an liosta ghoirid dhan Duais Litreachais Comann Bratach na Croise 2013, Ciad Leabhar As Fheàrr! 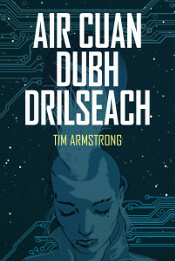 Tha mi air mo dhòigh ghlan innse gun deach ACDD a thaghadh dhan liosta ghoirid dhan Duais Litreachais Comann Bratach na Croise 2013, Ciad Leabhar As Fheàrr. 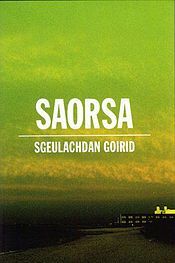 ’S e urram mòr a th’ ann, agus aithneachadh sònraichte do ChLÀR a dh’fhoillsich dà leabhar taghta am bliadhna: ACDD agus Màiri Dhall agus Sgeulachdan Eile le Donnchadh MacGillIosa airson Duais an Leabhair as Fheàrr. Nach do rinn CLÀR math! Ceud mìle taing dhaibh airson a h-uile taic agus brosnachadh a thug iad dhomh, agus gu sònraichte, mìle mìle taing dhan ghaisgeach sin, John Storey. As aonais na taice bhuaithe, cha bhiodh ann an ACDD ach beachd eadar mo dhà chluais.